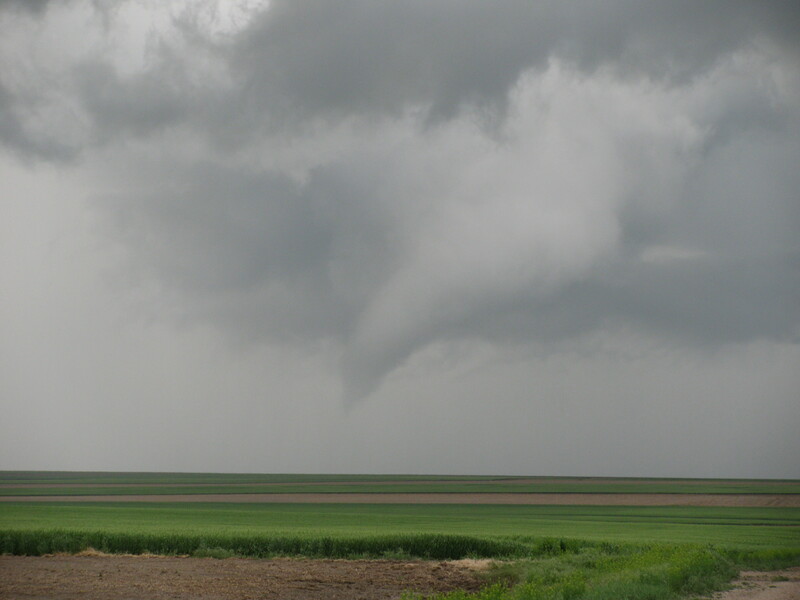 Funnel clouds can be considered weak tornadoes that do not have a visible portion reaching the ground. Presumably, all tornadoes go though a funnel cloud stage before reaching the ground. Some destructive tornadoes may only look like a funnel cloud if the air is unusually dry, preventing the formation of cloud material all the way to the ground. But more commonly, the tornadic circulation is too weak to support a well developed condensation funnel. Nevertheless, in virtually all true funnel cloud situations, there will be a circulation of air reaching from the visible funnel all the way to the ground -- it just can be seen. Low clouds associated with thunderstorms are often mistaken for funnel clouds, and the National Weather Service makes a special effort to train storm spotters to be able to tell the difference.